Categories in today’s market are becoming less defined, as foodservice blends with grocery and retail and cafes offer added value within banks, bookstores, and gyms. Customers are looking for choice, custom experiences, convenience, multi-functionality, and less cultural rigidity. All-day breakfast is becoming a popular restaurant offering, the demand for gender-neutral clothing is increasing, and hybrid cars are providing a “best of both worlds” solution. In foodservice, it is generally accepted that each restaurant offers one experience, such as quick-service or fine dining. But what if your restaurant could provide multiple experiences? Hybrid design is an emerging restaurant strategy that can meet the needs of a diverse group of customers at different times. It is a strategy that some are hesitant to use, since it has the potential to turn into trying to be something for everyone, and losing a sense of identity in the process. Yet, if carefully executed, hybrid restaurant design can bring in more customers while maintaining core equities. Adaptability and agility are key in today’s quickly changing market as customer needs evolve. The rise of digital screens in foodservice has enabled restaurants to easily change their content, menu-boards, and messaging. Restaurant spaces are generally not as flexible, but some restaurants are beginning to challenge that idea. The use of flexible and multi-functional furniture and dividers can help to create different environments according to group size, event, and time of day. Smart lighting and music can change the atmosphere during the transition from day to night, and spaces can be converted into dancing areas. Dedicated space for different types of occasions can also allow restaurants to offer hybrid experiences. 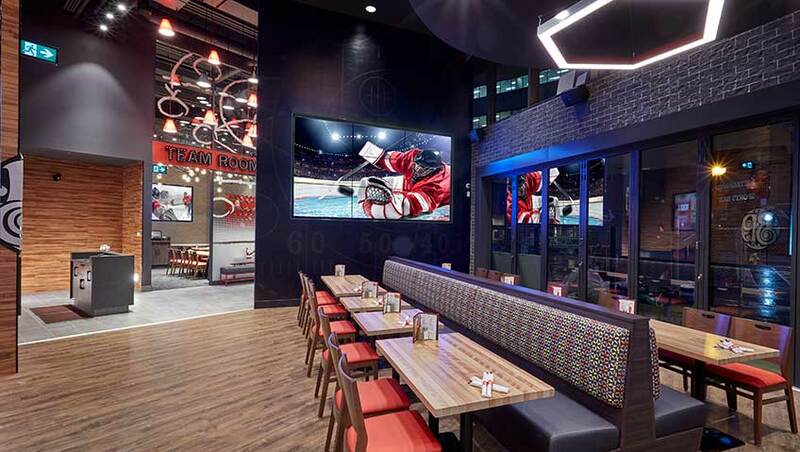 In the recently redesigned Boston Pizza flagship, Shikatani Lacroix developed a hybrid concept that included a separate bar and restaurant sections, as well as a Team Room. This design enabled customers to choose what kind of experience they would like each time they visited, and allowed space for large group gatherings, sports event viewing, and private meals all at once, without each activity interfering with another. Service models are also adapting to create hybrid concepts. For example, some restaurants are adding delivery and take-out options to their traditional experiences in order to meet a wider set of customer needs. Another way to offer multiple experiences is by using a varied service model approach. 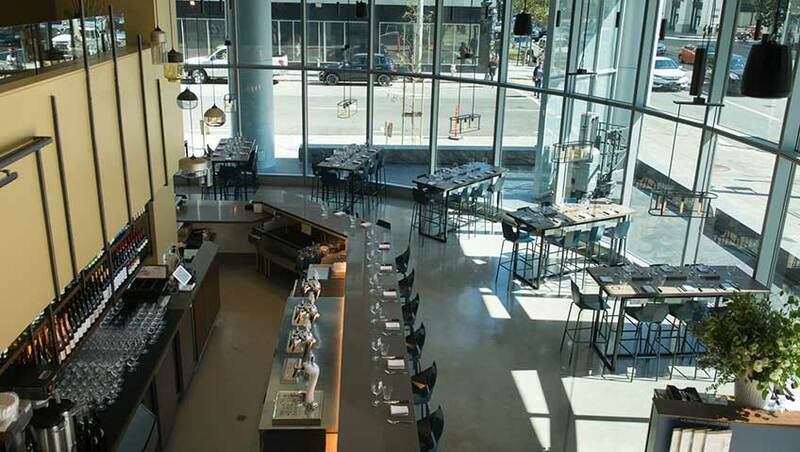 For example, the San Francisco eatery called Corridor offers fast casual, casual dining, and fine dining service according to customer preference. For a fast-casual experience, walk-in customers can choose to order at a counter, have their food and beverages delivered to their table using a beacon, and pay at their table. For a more upscale experience, they can make a reservation and receive full table service in the upper mezzanine. The savings in staff labor by using the fast-casual counter ordering allows the restaurant to offer fine dining meals and décor at lower prices. Another strategy is to combine elements of different restaurant types into one experience, rather than allow for multiple sections and service models in one space. The emergence of the fast-casual category is a successful example of this strategy. Fast casual mixes quick service with a casual restaurant, marrying speed and convenience with elevated design and a higher degree of service. Other combinations are possible, with many already successfully implemented. Food trucks and pop-up restaurants, for instance, are now bringing a higher quality of food to the streets (compared to the traditional hot dog stand). There is also a cross-over between fine dining and casual restaurants. 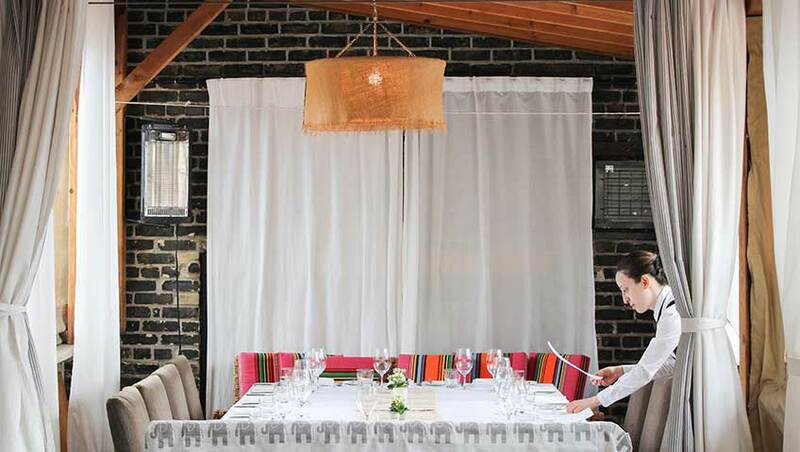 Some fine dining restaurants are maintaining their food standards while making their restaurant more approachable and casual or offering accessibility through prix-fixe events such as Summerlicious. Incorporating entertainment into a restaurant or bar is an emerging trend as well, such as arcades/gaming, activities (i.e. ping pong), or trivia. These entertainment/foodservice options provide an all-in-one experience. Hybrid design is part of a larger trend of breaking down barriers and traditional rules to create exciting new options. The three strategies of flexible spaces, multiple service models, and blended formats are creating hybrid concepts that combine positive elements from different formats or offer various experiences in one location. While a fancy sit-down dinner at your favorite restaurant might be great for date night, a more relaxed feel might be appreciated for after-work drinks with colleagues. Hybrid concepts can cater to both of these needs, and are ready to adapt as customer demands shift, driving future growth.